Business Worries, learn How CRM can help in sales? 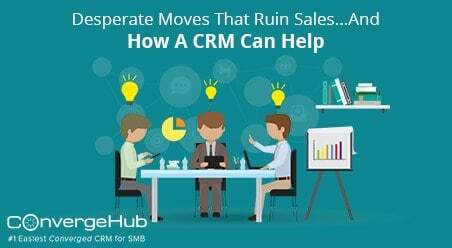 Moves Ruin Sales show how a CRM Can Help, With ConvergeHub we are trying to prove the same. As you are reading this article, we can assume that you have seen sales scripts before. Sales scripts are wordage, which educates and show us exactly what to say to get a prospect’s business, in the shortest span of time. But often what you should not say is also just as important, as to what you should. There are hundreds of words, phrases and expression that sales people unconsciously use that are not only ineffective, but can also turn off the customer, right at the onset of the call. Although, different industries have their own set of rules as to what is acceptable and what is not. By saying these words in the beginning of a conversation, you might be trying to illustrate that you won’t take much of your customer’s time. Still, whenever you say this, always remember, you are starting your conversation with a lie. So, never try to makefalse promises right at the beginning of your call that you are going to break. This is one of the wildest statements that sales people most often make while trying to close their deals. Never talk to your customer about your personal plights. It just makes you look pathetically desperate. Ask yourself, why should your customer care about what you are offering, when sales is all about solving your customer’s problems and not your own. Although far too many salespeople think that it is one of the most effective way to close their deals- but it is not. The problem with statements like this is that most of the people can see right through these words. So it hardly works out. Nothing can be more infuriating than to listen to an unknown salesperson who keeps repeating your name over and over in an attempt to build a misguided rapport. It is always good if you took the time to remember your customer’s name, but better stay cautious before you repeat it too often. So know when and where to stop. Just retire immediately if you have been using this phrase while making your sales calls. This phrase often obscures the real purpose of your call. So don’t say you are ‘just touching base’ as it makes you sound that you are making the call because it’s merely an obligation. Badmouthing your competitor is one of the sure shot ways to turn off your customer. Of course, you must remain extra-vigilant while praising your competitors. But praising your competitor in a subtle manner, before pointing out the value difference between your and their products is always the best way to go, if you want to win over your prospect with a smile. Telling this to a customer is practically saying in other words ‘Why don’t you get back, whenever you feel like’. So, using this sentence in a sales call often makes the sales person give the prospect a way to quickly end the conversation, by giving the would be customer time to think about buying your product or services on their own. While eagerness has been always healthy- desperation is not. Pushing a prospect to meet is rather awkward, especially when the prospect has already expressed no interest in the sale. Rather, it is better to ask your prospects“Do you not see enough value in for you to schedule with me another call?” However, if their answer is still negative, thank your prospects for their time and move forward with other promising opportunities in your call list. In an ideal sales scenario, the potential buyers discover how your product or service is the best solution for solving their issues. So try to learn about your potential customer’s pain points and resist the urge to blurt out ‘we can solve that for you’, too early on the call. Threats are no way to nurture business relationships. Although many sales reps weave words like ‘I’ll keep on calling you unless you are ready with an answer’ or ‘I will lose my job, if I don’t get this deal’, but these words often put the potential buyers in a really uncomfortable zone. Always remember, a sales speech which accompanies the voice of frustration and fear is never the best way to make a customer feel good about your company. If you are feeling nervous or chocked-up, your voice just won’t hide. So never let desperation creep into your vocal cord. Always take a deep breath and picture the confidence that you want to share with your prospect before picking up your phone. It is true every time, that some sales processes simply don’t go anywhere. 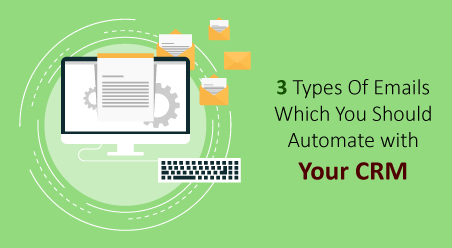 Many prospects delete your emails and neglect your calls, without responding even for a single time. So sending a dozen of emails or leaving ten different voicemail messages, especially if the potential customer has never responded to your first message, often comes off as a sign of desperation, which affects the future buying decision of the prospect in an unhelpful, negative way. 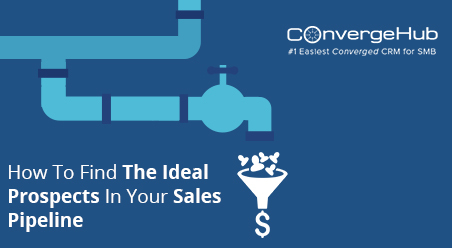 According to Sales Pipeline Management, any comprehensive sales process has steps which are required to be followed for how often and when one should ideally reach out to a potential customer, before deciding that they are no longer a fit as a prospect in the sales funnel. 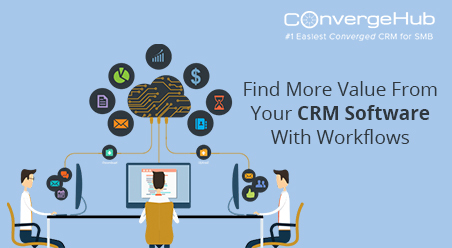 Use CRM to take your sales to the next level. 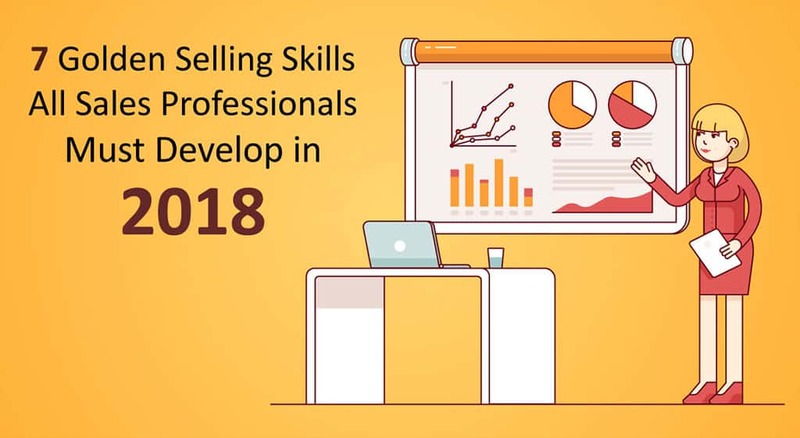 CRM is one modern day business tool, that not only keeps your sales process in mind, but it is also capable of incorporating these steps into your selling system, so that your sales team is capable of reaching out at strategic points of the sales process, helping reps to know when and how to knock on their prospects in time. Do you know about any other bad habits that make sales reps look desperate? If you do- share with us your story below. Not an existing ConvergeHub User? 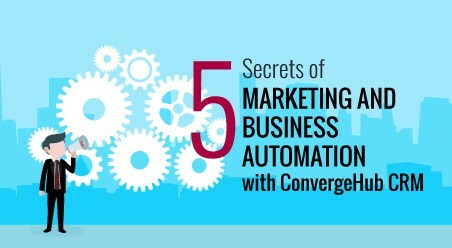 Be one of the many thousands of businesses using ConvergeHub to manage their entire operations. Easy and effective – the best part is you get started with it in minutes. P.S. Twitter is a great place to reach us. Looking forward to see you also there. 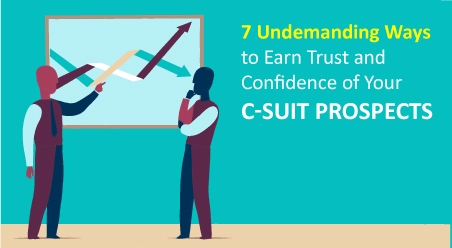 Learn how you can build trust and acceptance on the first meet with your potential client. With these three lessons in sales you can turn the prospect into a client.